A beautiful Olive Green cushion cover from Madam Stoltz. 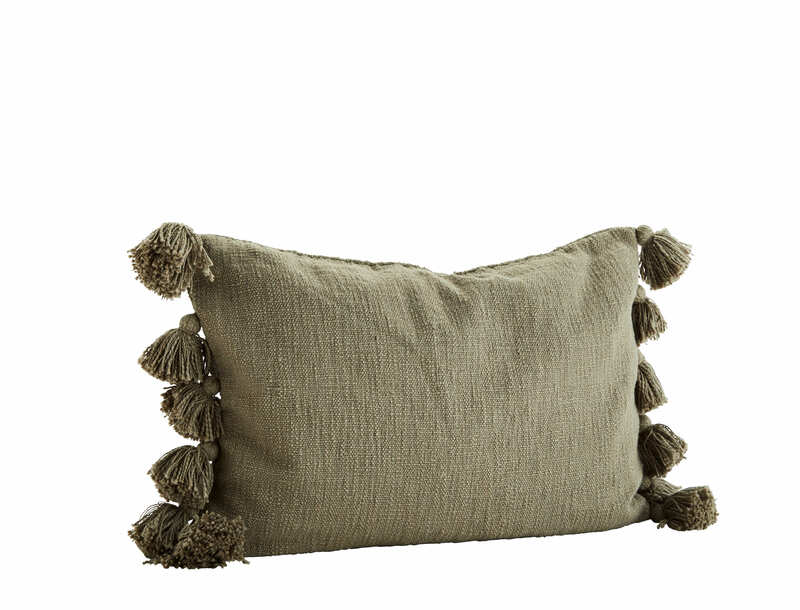 This cushion cover is made from 100% pure cotton, with large tassels at each end. Looks great alone or paired with other colours.